What to do if you meet a BEAR? Today I spent a lovely day with my mom in the cosy wooden house in the middle of winter forrest! We went to walk around. It was so nice. No one was around just me and my mom. 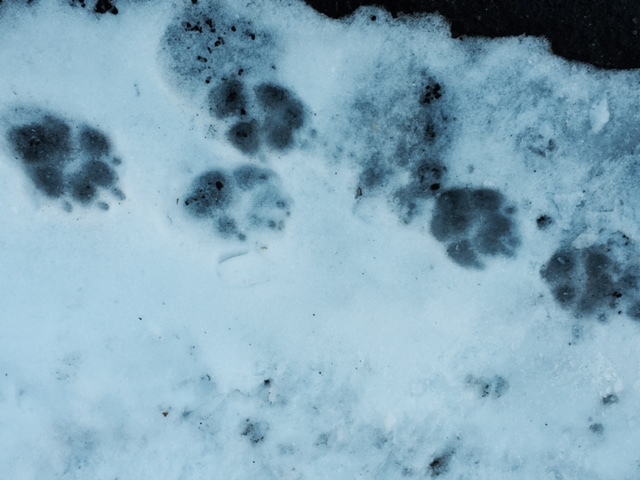 Suddenly I saw a fresh steps on the snow! Wow, it was bear’s footprints!! 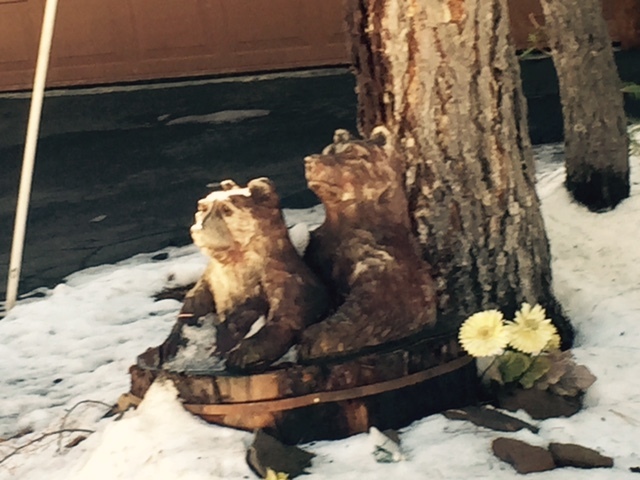 So, my mom and I thought what should we do if a bear came running at us? – I would run to the closest house and knock on the windows HELP!!! – No way! I would stand still and not show fear!!! So what to do if you are alone in the forrest and a bear comes running at you? 2. Do not show fear because I think a bear can sense fear! 3. Walk away backwards slowly. 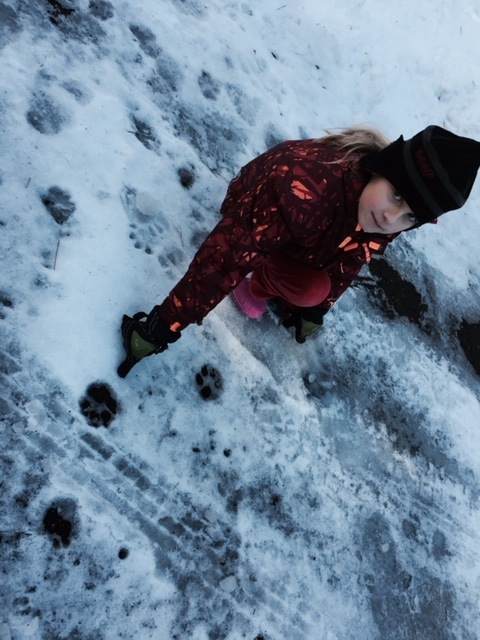 On the way back we saw more bear footprints with claws! look at this! bear is coming! – Noya, why wouldn’t we go faster home? It was a nice walk around! Enough! Dec23December 23, 2014 • By Noya • Bookmark the permalink.